Deliver your Logo on Gumelope! 12 pack of Sugar Free Peppermint Gum. 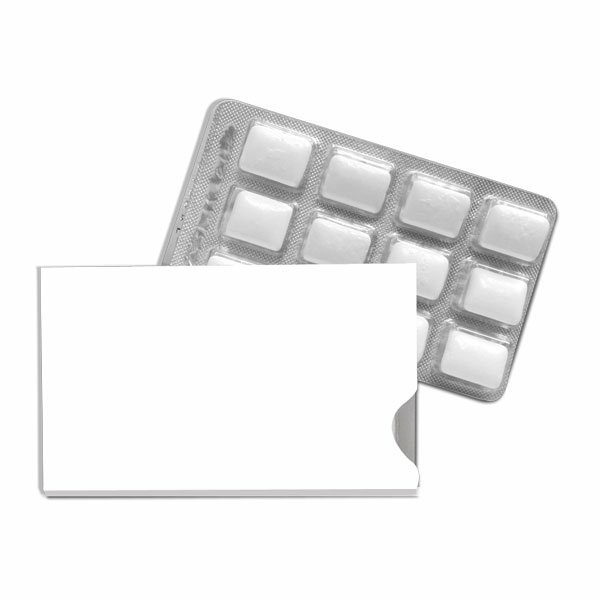 Blister packs wrapped with an imprinted envelope. We can print in full color or 1 color direct imprint. The gum was fresh and appearance of the wrapper looked good. Thanks for getting this done in time for out event. Rose addressed my questions promptly, specifically, and delivered. I'd worked with AnyPromo in the past, and again, am very satisfied. Both the quality of the product as well as the imprint of our logo were great. I have been very satisfied with your services. i have enjoyed everything I have gotten from AnyPromo thanks so much I have been a AnyPromo customer for probably 8 years. Their product are good.